Dril-Quip's CS-10® Casing Support System is a field-proven system of hangers that support the weight of each casing string at the mudline. 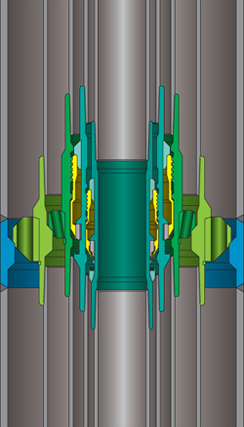 The system is used primarily in platform completion applications to decrease load on the platform by hanging casing off at the mudline. The CS-10 Casing Support System is available for most casing programs and casing grades.